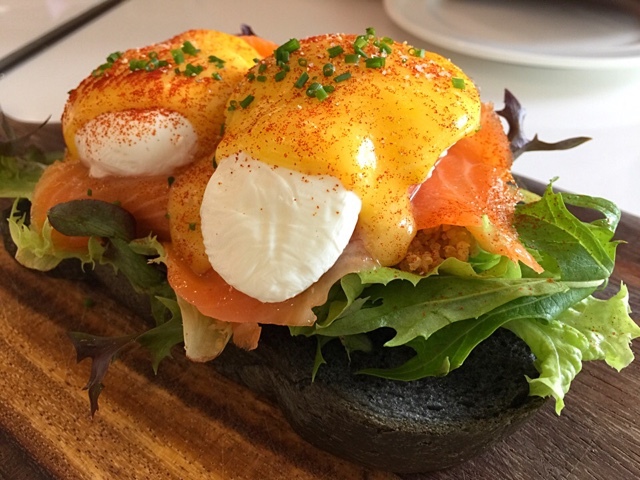 5 interesting places to satisfy your craving for delicious Scrambled Eggs and Eggs Benedict! Are there days when you woke up and all you wanted to eat was creamy Scrambled Eggs? Or you were craving for Eggs Benedict? San Bistro is a hidden gem in the Bedok area. What is interesting is that it specialises in affordable fine dining menu sets. 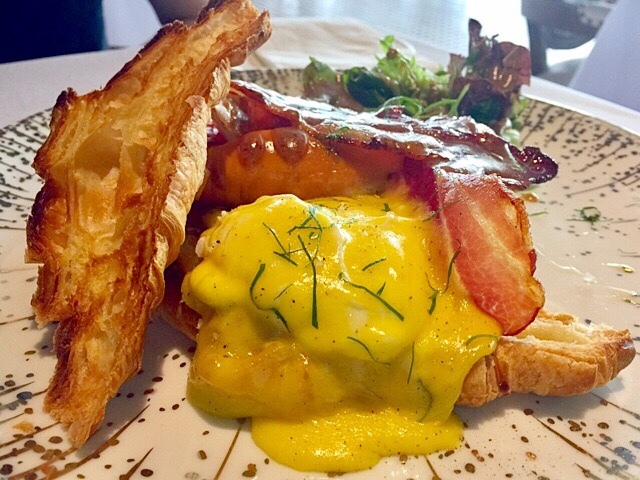 For an additional S$3, diners can opt to try the San Bistro Breakfast for its main, which is made up of Eggs Benedict, French Croissant, bacon, cheese sausages and mushrooms. Imagine enjoying your Eggs Benedict in a fine dining restaurant! Dazzling Cafe is a famous chain of restaurants in Taiwan and it has also captured the hearts of many when it first opened its doors in Singapore with its decor and desserts. It is extremely famous for its beautiful Honey Thick Toasts but do you know that it serves Eggs Benedict too? The Norweigian Smoked Salmon Eggs Benedict did not disappoint at all. The eggs were runny. The charcoal bread was lightly crisped. The sauce was delicious. Indulge yourself with Eggs Benedict in a beautiful setting! Craving for scrambled eggs and delicious egg tarts at the same time? The famous Tai Cheong Bakery from Hong Kong, whose egg tarts have caused snaking queues in Takashimaya, has opened a Hong Kong cafe in Holland Village last Nov 2016. 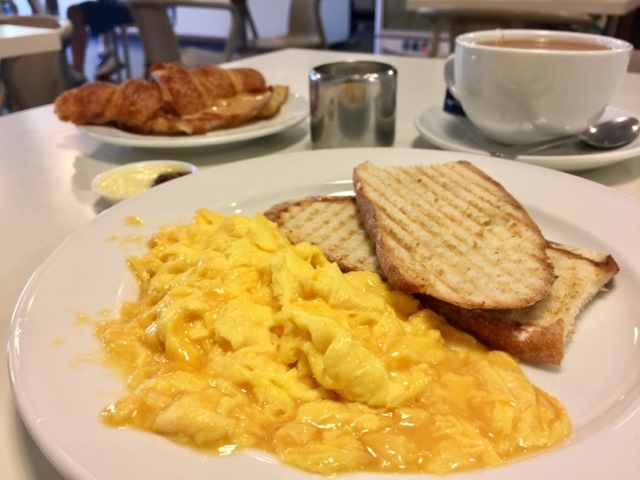 Hong Kong is famous for their eggs and toast. Oh my, when it was served, the glistening eggs stacked on top the toast was such an inviting sight. It wowed me because I had an eggs MELT IN THE MOUTH experience. 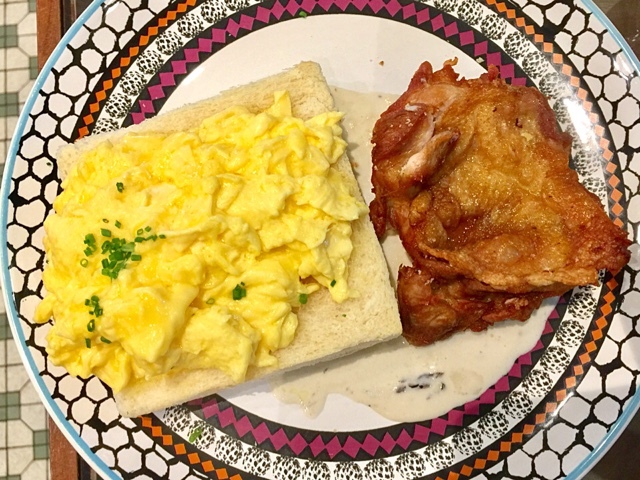 Lola's Cafe needs no introduction as over a short period of time, it has established itself as a hidden gem in Kovan, serving delicious All Day Breakfast. I am recommending the Breakfast Butter Croissant because it was the best I have ever tasted. 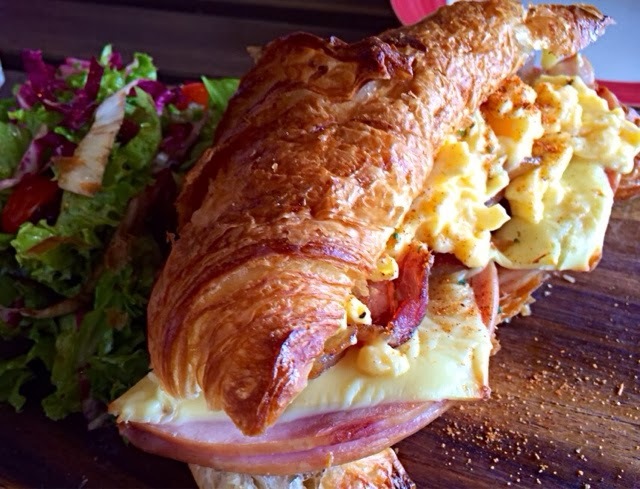 It consists of butter croissant, scrambled eggs, bacons, honey baked ham, cheddar cheese, Cajun mayo and garden salad. The Breakfast Butter Croissant won my heart simply because of the flaky and buttery croissant. The buttery fragrance of the bread exploded in my mouth and left me wanting more. The scrambled eggs were smooth. The honey baked ham and cheddar cheese were of good quality. The Cajun mayo added a nice touch of sweetness to the heavenly combination. 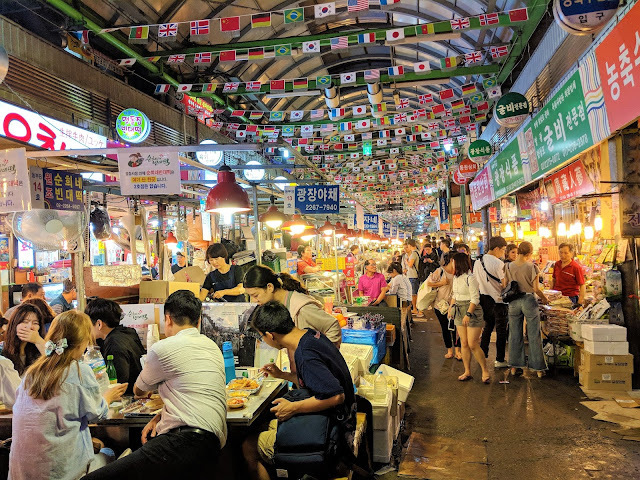 Other than being known for their freshly baked bread and breakfast sets, Simply Bread is also a place popularised by expats and caucasians living in the posh Fifth Ave. It was an interesting sight that the caucasians outnumbered the common folk in Singapore on a weekday morning. I thought that I was in Melbourne! As for my breakfast, the scrambled eggs were amazingly creamy and soft. Perfect! Don't forget to buy some gorgeous bread home!